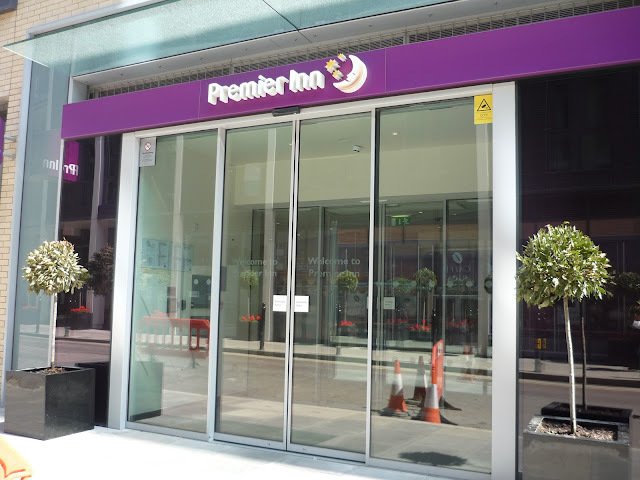 Older Single Mum: Premier Inn, City, Aldgate, London - Review. 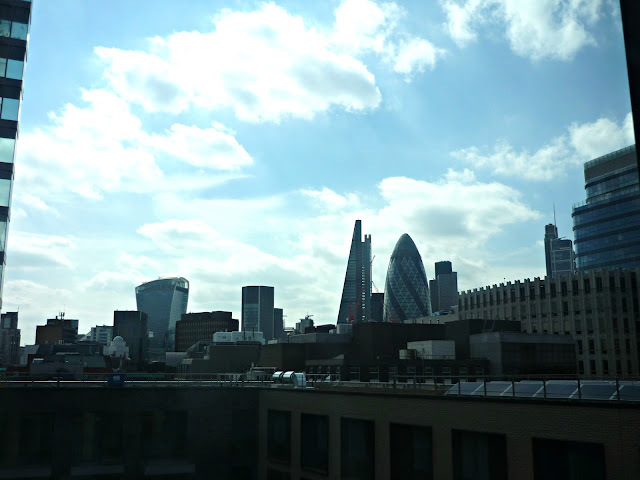 Premier Inn, City, Aldgate, London - Review. I'm a big fan of staying in East London and with a new Premier Inn just popped up in Aldgate, it makes even more sense. Prices start at £49 per night and, as I raved about them before when we went to their Dover Hotel, you're guaranteed a great night's sleep, kids eat dinner and breakfast for free per paying adult (certain time restrictions apply) and they're much better than your average 'Budget' chain. 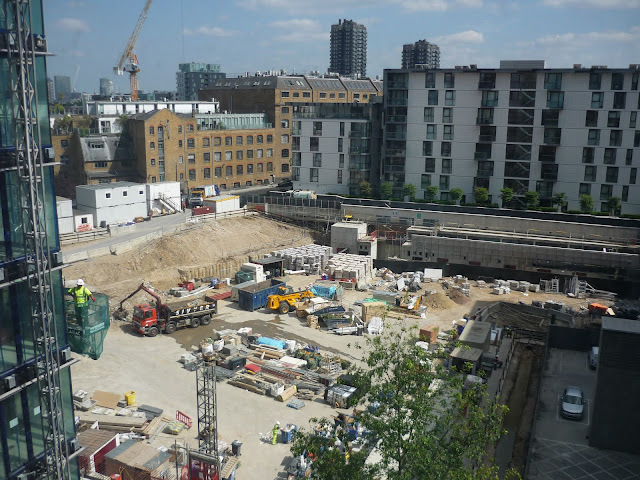 This one is situated just a stone's throw from Aldgate East underground station and it's on major bus routes, but nicely tucked away round the corner so there is no noise disturbance. I used to work in this area and you could get rooms for a steal when all the offices were closed at week-ends. Now, it is a thriving metropolis to rival the West End, yet certainly within reach of it. There's a famous No. 11 bus route that takes you from Liverpool Street station (walking distance or one stop on the tube) past some of London's greatest landmarks and you can get an inexpensive sightseeing tour from the top deck! It goes via the Bank of England, St Paul's Cathedral, Trafalgar Square and Westminster, for example and all the way to Fulham Broadway. The Tower of London is also local, the very fashionable Spitalfields and Smithfields markets are close by, the Museum of Childhood isn't far away in Bethnal Green and there are the stunning Victoria and Olympic parks too, any of all of which can be topped off with a curry in Brick Lane later. So what did I think of the Hotel? It was odd to be back on my old stomping ground as it's unrecognizable. There is building work everywhere! Here's a view from my bedroom window - but they still didn't wake me up in the morning, such is the soundproofing. And who wouldn't want a view of the Shard from another? It's like before and after shots! I was very comfortable. The room wasn't very large, but the bed was. It was awesome. The bathroom was beautiful - again, not big, but perfectly adequate - and around twice the size of some I've experienced in Hotels in more expensive areas of London. Plus, at least there was a bath as well as a shower, so I could feel as though as I was on a little holiday, sobering up having a soak after being at the BritMums Live conference all day. Their restaurant and bar is quite impressive - as light and modern as you would expect seeing as it's spanking new. It's a Thyme one here - serving up all good standard stuff. I only ate breakfast, but it was the same decent quality as I've now come to expect at a Premier Inn - a selection of fruits, pastries and juices, Costa coffee and a choice of traditional cooked items. Poached eggs, porridge and gluten free items are available on request. The service was exceptional all round - polite, friendly, warm, helpful and, again, above average and they can't all have known there was a review to be done! 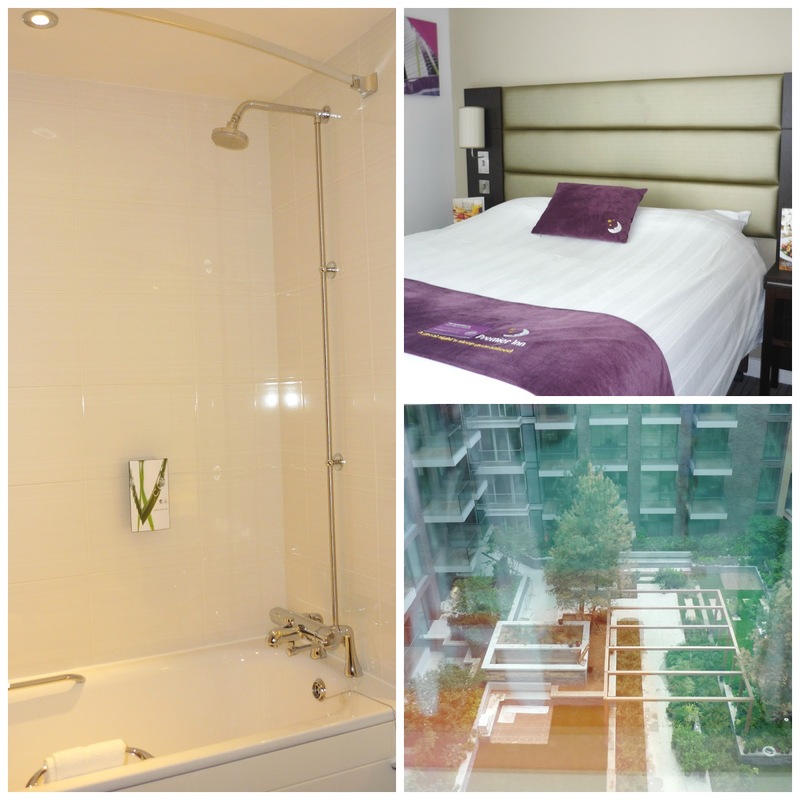 For the City, which is in the East End and for the ease and flexibility of getting to central London as well as the West End, this is the perfect place to mix business with pleasure and / or for a family to stay at a reasonable rate. Other Premier Inns are available ;). 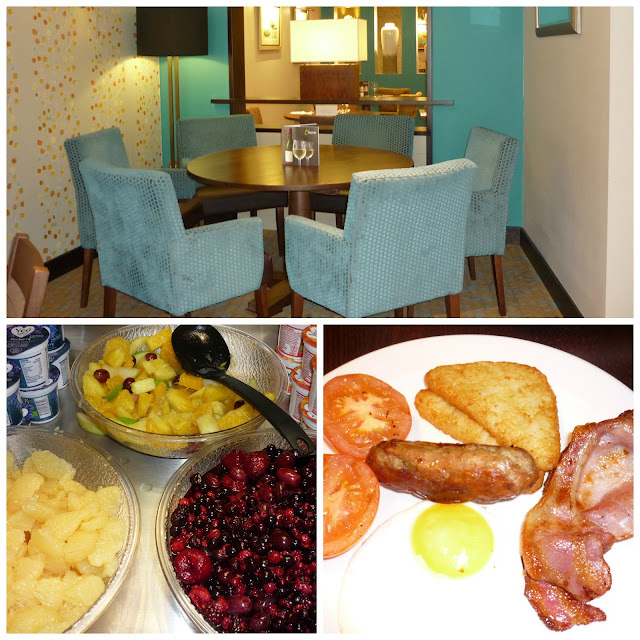 Disclosure - I was provided with accommodation and breakfast in exchange for an honest review. All words, pictures and opinions are my own, obvs. We love staying in Premier Inn's when we go away as a family for UK trips - their rooms are comfortable, clean and in great locations. I'm certainly a convert and they will always be my first port of call now! What a fabulous location. East London is a really exciting place to be. The food looks amazing, glad you had somewhere to relax after BML. I LOVE the guarantee of a good night's sleep - something never to be underrated. Once you've stayed somewhere and been kept awake - this can be a real deal maker! Premier Inn has always long been my favourite place to stay. When I am paying I am always impressed but ironically when I reviewed the York one I was utterly blown away. Got value for money tenfold when I wasn't paying. Having stayed at Easy Hotel (an in Easy Everything / Easy Jet) for BritMums Live I now realise that despite Premier Inn being supposedly budget it is actually PURE LUXURY in comparison. I'd be booking something sensible for next year NOW, if BritMums weren't keeping quiet about what is happening next year. First year ever that next year's tickets haven't immediately gone on sale. So glad to hear that Becky. I used to think that Budget chains were all the same, but was wrong! One of my favourite parts of London. Columbia Road flower market on a Sunday is also not too far out of reach from there, and I love being there early. Great pictures.